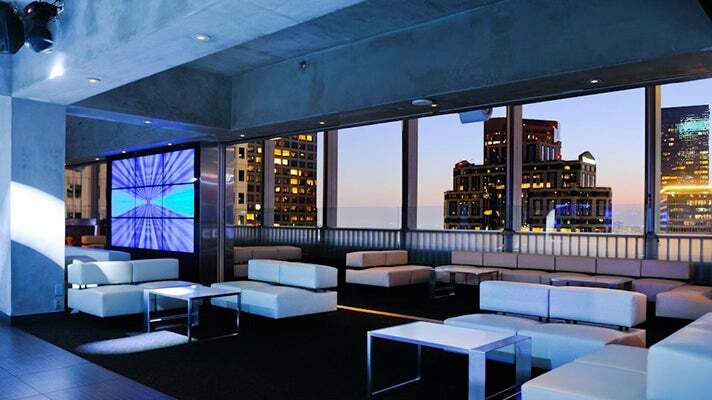 Elevate Lounge is located at 811 Wilshire (from the subway stop, head north on Flower to Wilshire, then turn left). Once inside the building, you’ll take the elevator to the 21st floor. Step out and you’ll be greeted by a stylish space where the lines between inside and outside are blissfully blurry. Be sure to take in the views from the balcony. If you look northeast, you’ll see The Standard Rooftop Bar, the next destination on the tour. 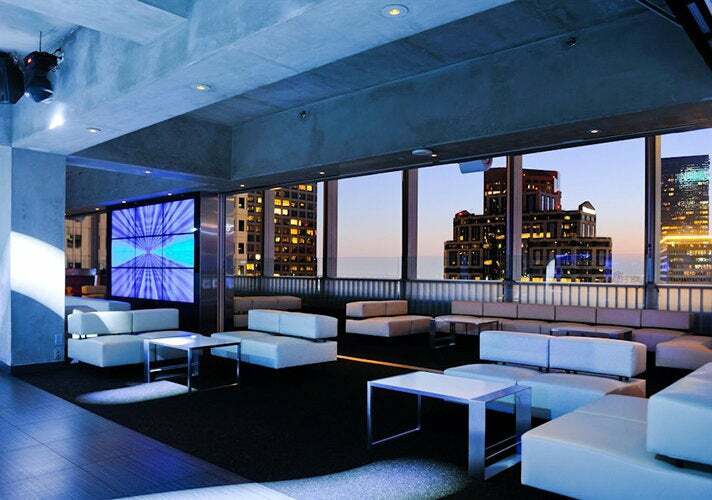 From Elevate Lounge, go one block north on Flower to The Standard Downtown LA. Enter the lobby and head up to the 12th floor. Once outside, you’ll discover an intimate space with vibrating waterbed pods (think ultramodern plastic cabana), red Astroturf, some of LA’s top DJs, a dance floor and spectacular views. Oh yeah, and a swimming pool. If you’re ready for a more low-key experience, head to Seven Grand, Downtown LA's premier whiskey bar, or Golden Gopher for its revamped dive bar atmosphere. A few blocks away, Casey's Irish Bar & Grill serves up classic pub brew with delicious fish and chips. The swank Art Deco-style Broadway Bar, located in the heart of LA's historic theatre district, boasts a supper-club atmosphere and elegant cocktails. Library Bar is also a great stop to grab a laid-back drink. You can cultivate your inner bookworm in settings that are playfully erudite, all while enjoying craft beers from the stellar list of national and international microbreweries. L.A. LIVE also offers a host of nightlife options within walking distance of this station. Grab a bite or a drink at one of more than eight restaurants and bars, including Club Nokia, Trader Vic's Lounge, Yard House, ESPN Zone, Rock'N Fish and Rosa Mexicano. Then head over to the Conga Room for some live Latin music, Lucky Strike Lanes for the ultimate bowling experience or STAPLES Center for an exciting basketball or hockey game. To get there, head south on Flower four blocks, then turn right on 11th Street.